Everyone deserves some special time to relax! 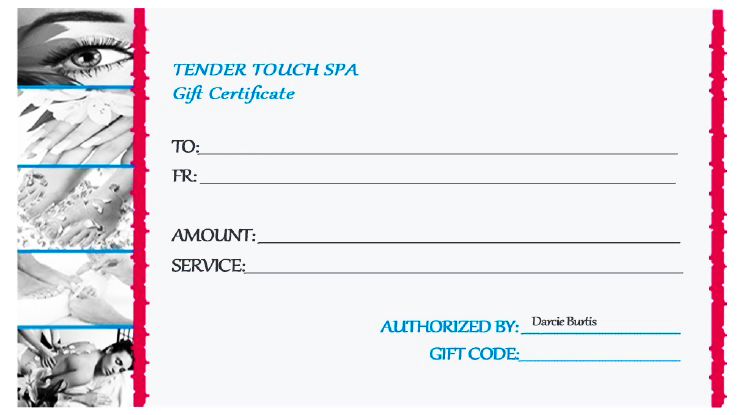 To order a Tender Touch Spa Gift Certificate, please call us at 403-829-2160 or fill out our form below. We will get back to you within 24 hours to arrange for payment & assign your authorization gift code. Then we will email your personalized gift card right to your home or office! Our Mobile Spa Gift Cards Are The Perfect Gift For ANY special occasion!